Using a shallow depth of field can provide a beautiful sense of dreaminess to an otherwise regular image. 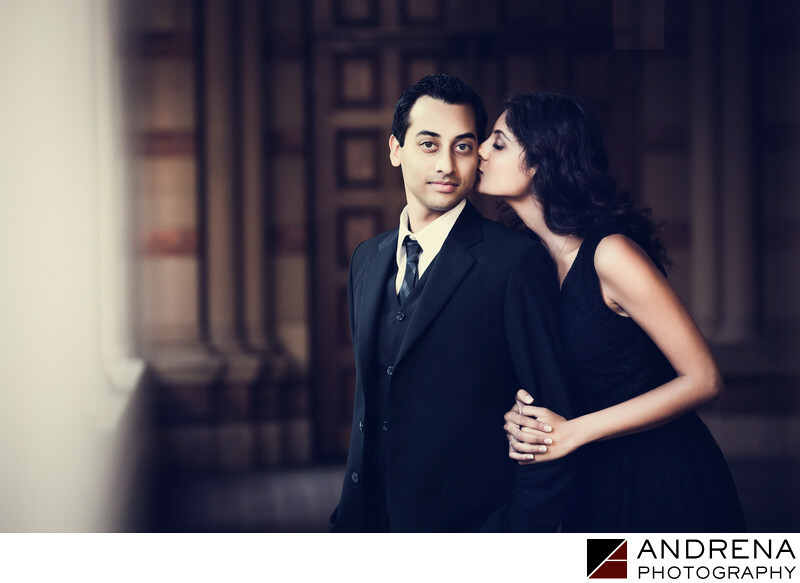 In this case, a shallow depth of field used at UCLA added softness to this portrait of a couple in love. I rarely use an f-stop of 2.0 on an engagement session, as the plane of focus can sometimes be too shallow to get both faces into focus. But for this image, it worked perfectly. Engagement session photographed at UCLA in Westwood, California.